A major renovation / construction project on Museum ave.. 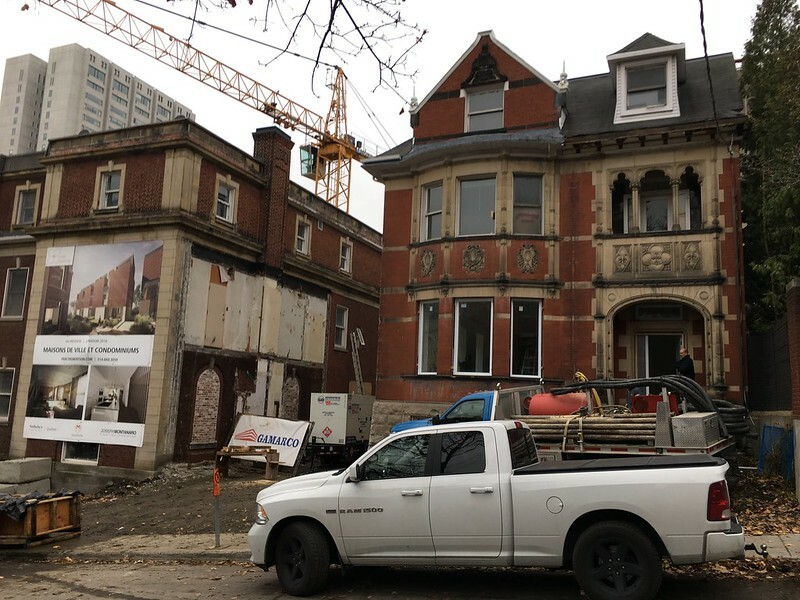 These old mansions are being renovated and retrofitted in a new project, which includes a set of new townhouses to be built at the back of these properties. You can view everything here. An addition built between the two mansions was demolished (you can see the outline of it in the photo below). Everyone is getting into these mega real estate projects. 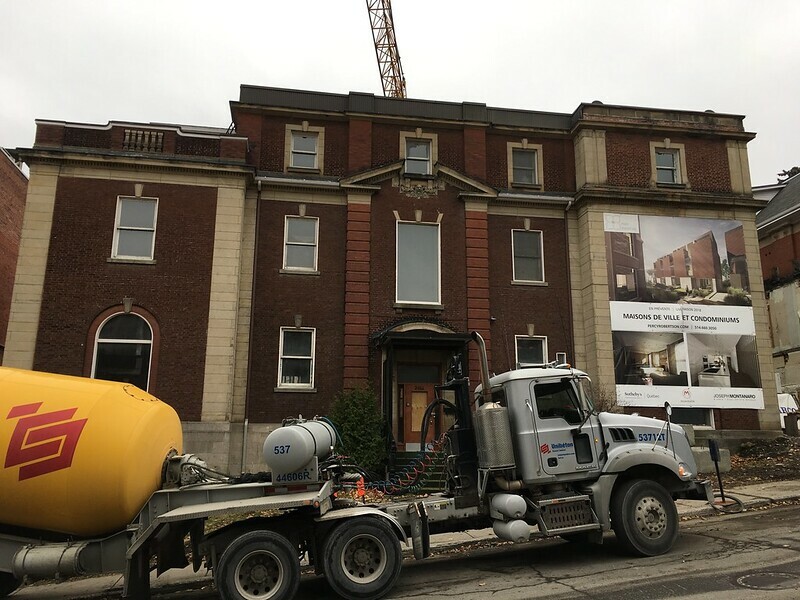 Un important projet de rénovation / construction, de l'avenue du Musée. Ces anciennes demeures sont en cours de rénovation et de rénovation pour un nouveau projet, qui comprend un ensemble de nouvelles maisons de ville à l'arrière de ces propriétés. Vous pouvez tout voir ici. Une extension construite entre les deux demeures a été démolie (vous pouvez voir le contour de celui-ci dans la photo ci-dessous). Tout le monde se lance dans ces projets immobiliers méga. Get used to it Montreal. I moved to Vancouver from Montreal in 97 and have watched this quiet city by the sea transformed beyond all recognition in the last few years. Foreign cash ( China) has resulted in real estate becoming a play thing for foreigners with too much money and a need for a place to hide it. I'm sure that they have got Montreal in their sights as a great place to invest as the land prices are a fraction of Toronto and Vancouver. Unless Canadians wake up to this menace I'm afraid Montrealers will fall victim to the same disaster we are currently experiencing in Vancouver.